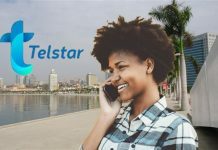 Luanda will host next January 24 at the Financial City Auditorium in Talatona the conference on the digital transformation in banking that will be carried out by the company Asseco PST- specialist in technological solutions aimed at the financial sector. 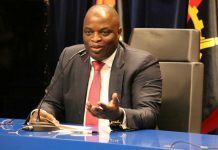 "Digital Transformation"Is the title of the conference and the event aims to discuss the central themes of digital transformation applied to the Angolan banking sector. Digital banking is now part of the list of priorities of most of the country's financial institutions that, over the last few years, have made a continued investment in all areas related to digital. Data power and its transformation into relevant information, single point customer relationship management, risk management associated with the activity of banks and electronic channels, with new internet banking e mobile banking, will be some of the topics under discussion. In addition to presentations conducted by heads of Asseco PST, the event will also count on the participation of experts from partner companies, such as microsoft and IBM. 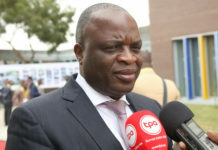 Daniel Araújo, CEO of Asseco PST., States that, "as in many other countries, the banking sector is undergoing a profound transformation in Angola, which is the market where we have invested the most in recent years and where we will continue to invest in active in a medium- and long-term perspective. Digital banking is disruptive and we are prepared to follow the innovation with state-of-the-art solutions. " At the same time, the event will allow participants connected to the banking sector to experience on the spot a set of solutions that enhance the creation of a true digital culture in their organizations that benefits their clients. For this, an interactive space called "Digital Experience" will be set up, where, throughout the event, it will be possible to discuss the main themes of digital transformation and see how some technological solutions work. Asseco PST is present in eight countries on three continents (Africa, Europe and Asia), and has in its client portfolio more than 60 banks, of which 23 in Angola.